On Monday evening, Nov. 5, 2018, the reality TV star, who's seven months along in her pregnancy, took to her Instagram Stories to share a health update with her fans. 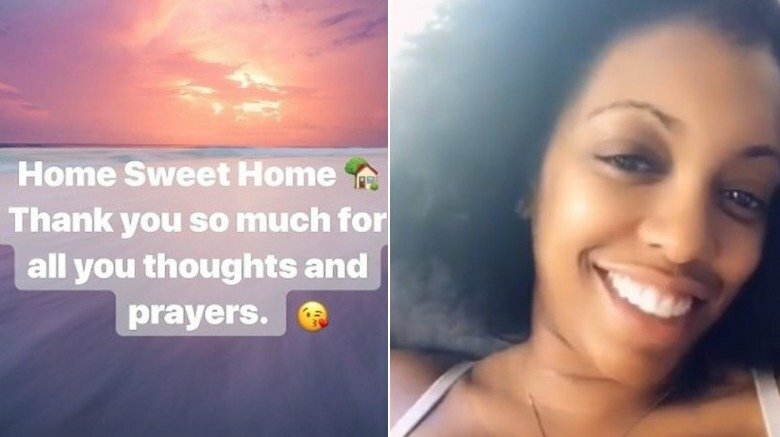 "Home Sweet Home," she wrote to her 3.7 million followers, alongside a kiss emoji. "Thank you so much for all your thoughts and prayers." Williams also posted a short video on Instagram to encourage both her assistant and followers to vote in the Tuesday, Nov. 6 midterm elections. "Y'all give my assistant hell so he will go Vote! lol I voted before my one week bedrest," she wrote in the caption, adding, "Make sure you get on y'all friends and family A** to GO VOTE!!" As Nicki Swift previously reported, Williams' RHOA co-star and friend NeNe Leakes first announced that the 37-year-old television personality had been hospitalized on Sunday, Nov. 4. 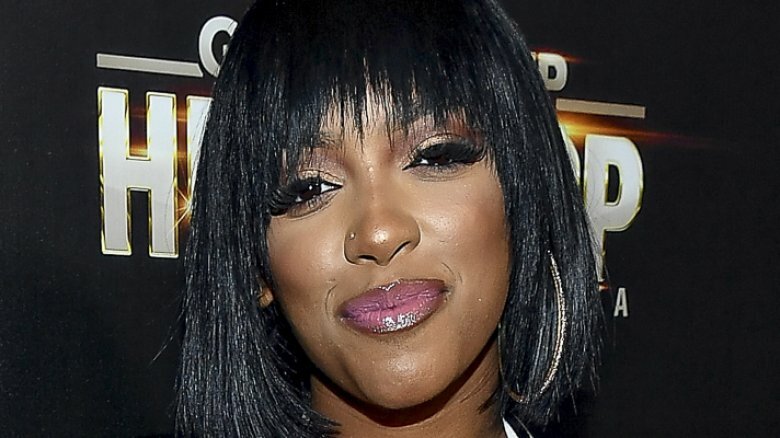 "Send some prayers and good vibes to our Tink Tink @porsha4real today," Leakes wrote on Instagram at the time, captioning a snapshot of what appears to be Williams' arm hooked up to an IV. "#goodvibesonly #babyPJisdoingfine #aunteenene #babyboom #RHOA11." At the time of this writing, Williams has yet to publicly confirm the reason for her recent trip to the hospital. However, a source cited by Us Weekly claimed that while her unborn baby was thankfully doing "fine," Williams was reportedly "experiencing extreme pain" due to fibroid complications. In late September 2018, the Bravo star revealed that she and her new fiancé, 38-year-old Dennis McKinley, were expecting their first child together, a baby girl. Williams, who previously suffered a miscarriage, told People magazine at the time that her pregnancy was "a dream come true." We're so glad to see that mom and baby are doing well following Williams' recent health scare! In other recent reality TV baby news, fellow Real Housewives star Kenya Moore welcomed her first child, a baby girl named Brooklyn Doris, with husband Marc Daly this past Sunday — just days after revealing she was suffering from pregnancy complications of her own. The 47-year-old new mom recently tested positive for "possible preeclampsia," before delivering her newborn daughter via emergency C-section.